The return of the club's highest earner from a six-week injury layoff to make the voyage to Catalonia in such circumstances should be a source of inspiration. 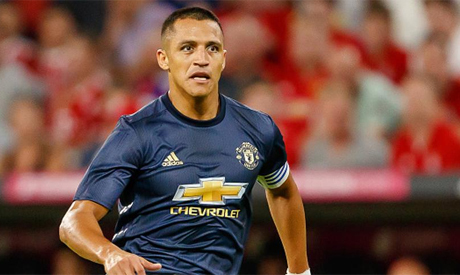 However, it is symptomatic of Alexis Sanchez's decline in 16 months at United that the Chilean makes his comeback behind Marcus Rashford, Romelu Lukaku, Anthony Martial and Jesse Lingard in Ole Gunnar Solskjaer's pecking order. So durable for much of his career, Sanchez's time at United has been permeated not only by poor performances but a series of injuries. The splash on Sanchez's contract also threatens to cost the club dearly, either in lucrative new deals, or losing some of their best players. "We have one of the best goalkeepers in the world," said the Norwegian, but De Gea's future is far from certain as he holds out for a pay packet at least on par with Sanchez with his current contract set to expire in 2020. Paul Pogba is also in talks over a new contract and reportedly wants to be the club's highest earner if United are to ward off interest from Real Madrid. A Champions League quarter-final at the Camp Nou is exactly the sort of stage United's number seven was signed for.